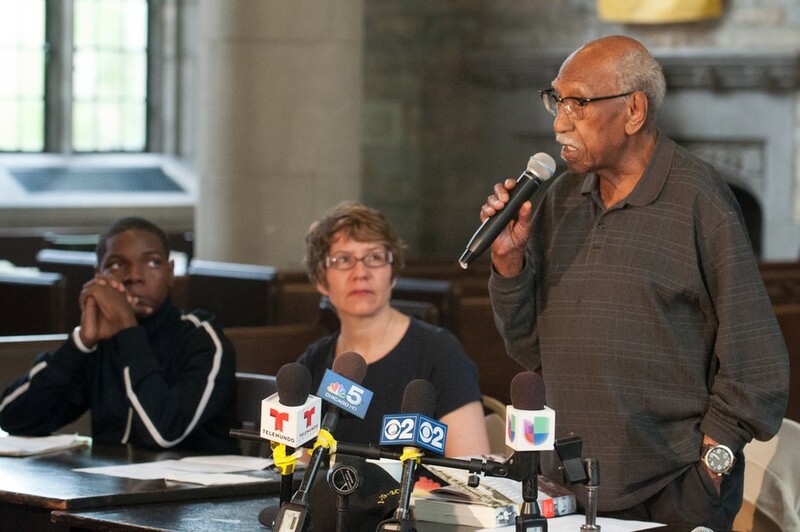 The Trauma Center Coalition hosted a town hall meeting discussing the role and implications of the Obama presidential library in the South Side last night at University Church. The Trauma Center Coalition consists of the groups Fearless Leading by the Youth (FLY), Kenwood Oakland Community Organization (KOCO), Students for Health Equity (SHE), and the Coalition for Community Benefits. The organizations involved argued that the upcoming library was meant to be a community resource, which ties it to the University of Chicago’s lack of a trauma center. The lack of a level-one trauma center in the South Side has been a contentious issue in the community since the University of Chicago Medical Center (UCMC) closed its trauma center in 1988. Many demonstrations have been held by groups in the Trauma Center Coalition, including a sit-in held last year at the Center for Care and Discovery that led to four arrests. The event was moderated by Veronica Morris-Moore, a former member of FLY. Morris-Moore stressed that because the library will be a resource for the community, there should be community involvement. When questioned about the ethicality of the use of the presidential library to force conversation about the trauma center, Morris-Moore said that the library “was not a soap box,” but rather an opportunity to examine whether or not the past actions of the University are in line with President Obama’s legacy. Community members discussed the location of the library, and many proposed that it should be in Englewood. For panelist Virginia Parks, a professor at the School of Social Service Administration, the presidential library “signifies the impact that the community and University have had on the president.” Carson said that the benefits of the library to the community are as important as the benefits of the library to the University. Graduate student and SHE member Emilio Comay del Junco also spoke about the the trauma center’s importance to students. “Students don’t have trauma care here, either. If you’re hit by a car on the Midway, your status as a U of C student isn’t going to get you taken to the U of C hospital; you’re going to be taken 10 miles away downtown,” he said.